Get Answers To Your Furnace Filter Questions! If you are like most of us today, you probably haven’t given furnace filters much thought. After all, it doesn’t sound like a particularly riveting topic. But there is a lot more to the average furnace filter than first meets the eye. For example, can furnace filters be recycled? If so, which kinds are eligible? Why do some furnace filters look so different from other furnace filters? Can you use different types of furnace filters in your furnace? 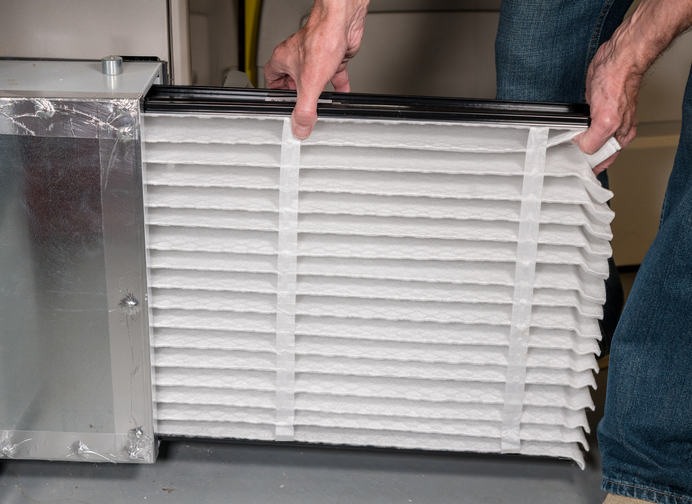 Can your furnace run without its filter? Find out the answers to these and other furnace filter questions in this post! The answer to this question may surprise you! Most people think the main job of a furnace filter is to filter out dust and toxins before they enter your indoor air supply. First and foremost, your furnace filter is designed to protect your furnace, and you, from a potentially dangerous influx of dust, hair and pet dander, and other damaging or flammable debris that could otherwise get lodged inside the furnace mechanism. The filter’s secondary job is to improve the quality of your indoor air. What Are Furnace Filters Made Out Of? Different furnace filters are made out of different types of materials. Here are some examples. A fiberglass filter is, as its name suggests, made out of fiberglass. These filters are cheap and popular, but they really only protect your furnace from very large airborne particles and they don’t last very long (a month at most). A pleated filter is made out of cotton and polyester. These filters are also inexpensive and popular and don’t last long (a month at most). However, they are better at catching airborne particles like moulds and dust mites. An electrostatic filter works by generating its own electrostatic energy (kind of like static cling). It is made from naturally electrostatic materials like cotton or paper. This type of filter can be disposable or reusable (washable, permanent). This filter type is much better at catching small airborne particulate toxins like pet dander or cigarette ash. Pricing is reasonable for standard-size disposable electrostatic filters but will increase for custom-size or permanent filters. High-efficiency particulate air filters, or HEPA filters, are a specialized type of pleated filter that is typically framed in metal and designed to provide long-lasting improvements in indoor air quality. 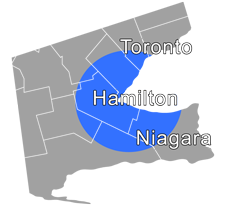 Many laboratories and hospitals use HEPA filters. They can be pricey but for those who need their benefits the most, there is no better filter than HEPA! Why Do Some Filters Look So Different Than Others? The reason one furnace filter can look so different from another is that different filters function differently. Fiberglass filters are quite thin and flimsy and won’t hold much trapped material before they need to be replaced. They really serve a temporary protective purpose only. Pleated filters are designed so that the pleats—small accordion-like folds in the filter material itself—will catch and trap small airborne particulate matter as it passes through the filter on its way into your home or workplace air supply. An electrostatic filter works by using static electricity to attract, catch and trap airborne particulates. Will Your Furnace Work Without a Filter? The simple answer to this question is yes. Your furnace can technically work without its filter being in place. However, there are so many reasons you don’t want to be running your furnace without a filter in place that we could write a whole separate post on the topic! Can You Use Different Types of Filters With Your Furnace? This can be a particularly confusing question, especially if this is your first time maintaining an air conditioning and heating system. The first thing that confuses many people is that HVAC filters are called “furnace filters.” They could just as easily be called “air conditioning filters” because the same filter will be used whether you are running your air conditioner or your furnace. Each HVAC system comes with its own MERV rating. MERV, or minimum efficiency reporting value, tells you how efficient that system’s filter will be at protecting your furnace and trapping airborne particulate matter. The higher the MERV rating, the more efficient the filter will be. Newer HVAC systems typically have higher MERV ratings than older systems. The HVAC manufacturer’s guidelines tell you what size of filter will fit and what type(s) of filter to use with that system. You don’t want to use a higher MERV-rated filter than what your HVAC system will accommodate, but it is often possible to switch between appropriately MERV-rated disposable and reusable filters without any problem. The best answer to this question really depends on what type of material the filter is made out of. Most filters are still not recyclable. Those that are will usually be marked as such. For general purposes, pleated filters are the most likely filter type to be recyclable. Need Help Choosing, Cleaning or Changing Your Furnace Filter? Inspecting, cleaning or changing the furnace filter is a standard part of our popular annual furnace inspection and preventative maintenance service. If you are concerned about your indoor air quality (IAQ) at home or at work, Shipton’s and our sister company, Clean Air Solutions Hamilton, can help you select the best furnace filtration system!